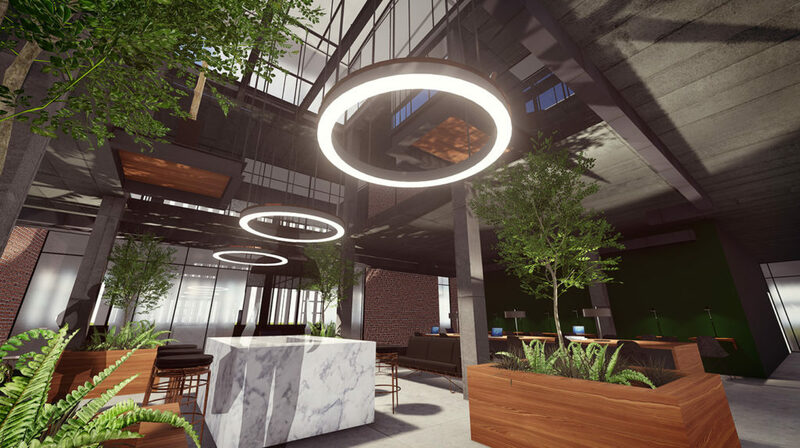 As one of the first projects in Africa to be certified Net Zero, 78 Corlett Drive in Johannesburg is leading the local green building sector into a new phase of evolution. The project was awarded a Net Zero Carbon (Pilot) Level 1 Certification in late November 2017, and a 6-star Green Star Office V1.1 Design certification in January 2018. 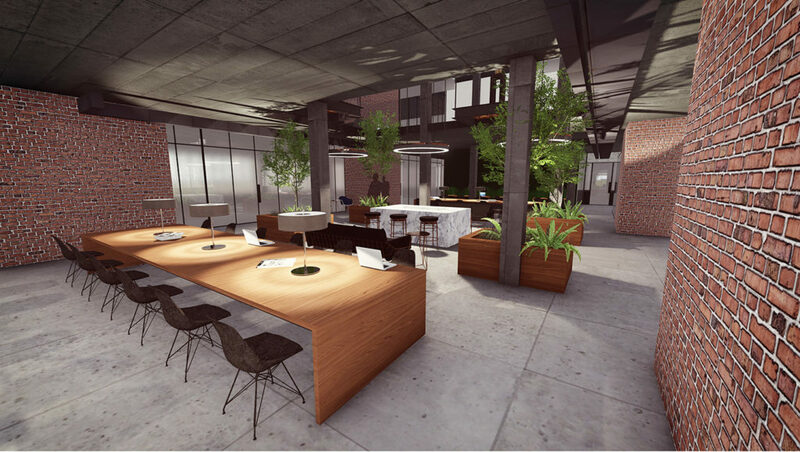 Developed by Legaro Properties and with Solid Green Consulting as green building specialists, the project is situated on a brownfields site and aims to set a new standard of vibrant and trendy co-working office space in a contemporary new development ideally located a stone’s throw from Melrose Arch along Corlett Drive in Johannesburg. The site is within 1km walking distance of six bus stops (Putco, Metro and Gautrain); and within 450m walking distance of taxi stops linking to alternative mass transport options via various taxi routes. A number of local amenities are situated within a 400m walking distance including a pharmacy, gym, bank, convenience store, restaurant, school, medical centre and dry-cleaning outlet. Net Zero certification helps industry understand the ultimate goal of what we should be aiming for as property owners and developers in terms of environmental objectives. Rather than simply doing ‘less bad’, we can neutralise the impact of developments or even have a net positive impact. 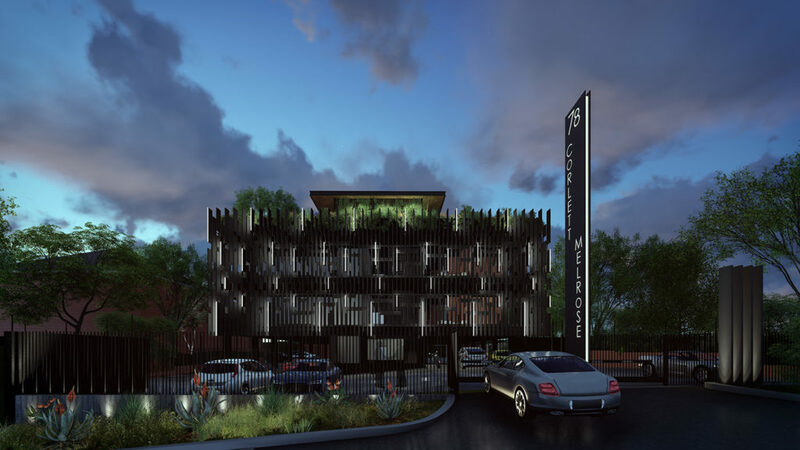 The GBCSA congratulates Legaro Properties for demonstrating their environmental leadership, and for achieving a net zero carbon rating for 78 Corlett. This is a fantastic achievement of which they can be very proud. The GBCSA Net Zero/Net Positive Certification awards projects which go beyond the partial reductions recognised in the current GBCSA tools, and have taken the initiative to reach the endpoint of completely neutralising or positively redressing their environmental impacts. Projects are able to achieve Net Zero/Net Positive Ratings in Carbon, Water, Waste and Ecology. 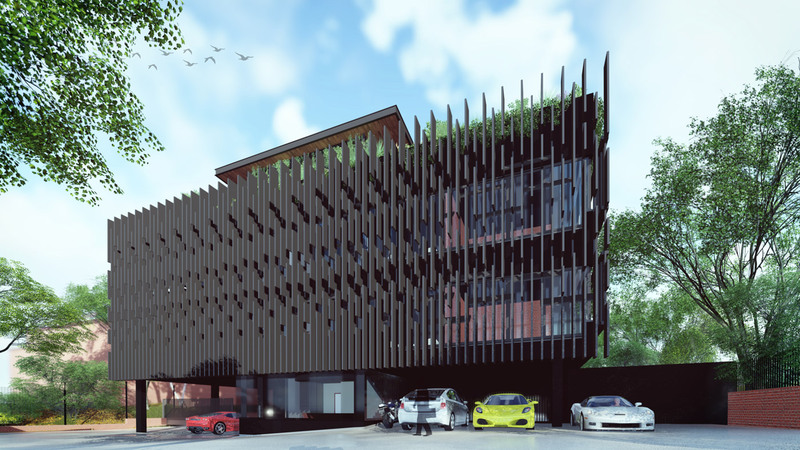 We are committed to driving green building innovation in the property sector, through leading by example with projects like 78 Corlett, 41 Melville Rd and 54 on Sixth Rd Hyde Park. 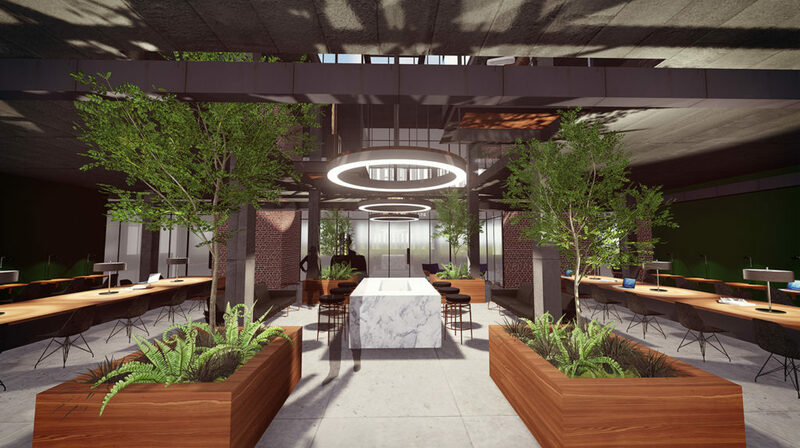 The upper ground floor of 78 Corlett will accommodate a mixture of vibrant open co-working spaces and cellular offices, interspersed with social and formal meeting spaces organised around a central coffee bar located in the triple volume daylit atrium. The first floor has additional co-working spaces and larger formal offices to cater for a diverse variety of tenants. Energy strategies for contributing to the Net Zero Carbon Level 1 Certification included generating an energy model of the building in the design stages, comparing 78 Corlett to a notional building model. The building design showed an improvement of 100% over a SANS 10400 notional building, successfully demonstrating the reduction of Greenhouse Gas Emissions associated with the building’s operational energy consumption, with carbon emissions reduced to 92kgCO2/m2/yr. The building’s peak electrical demand will be actively reduced with a photovoltaic array installation on the roof that has an annual output of 92,000 kWh, and will tie in to the grid. All enclosed spaces are individually switched, making it easy to light only occupied areas; and the project saves energy by providing office lighting that is not over-designed and achieves an average maintained illuminance level of no more than 400 Lux. Hot water is efficiently provided by small high performance electric under-counter geysers installed in each bathroom, which alleviate the need for long runs of insulated hot water pipes. Geyser electric requirements will be supplemented by the PV array on the roof. Separate energy sub-meters are provided for lighting and power to accurately monitor energy consumption. The behaviour of occupants and users of the building is critical to reducing consumption, and the owners are targeting an overall consumption of 75kWh/m2/year, far less than the 200kWh/m2/year SANS10400 XA requirement. The project also promotes the use of electric cars by providing electric car charging facilities as part of the base building infrastructure, and dedicated bays for electric vehicles. Six fuel-efficient parking bays dedicated to hybrids and other fuel-efficient vehicles, and five dedicated motorbike parking spaces have been preferentially located close to the main building entrance. In addition, seven Staff and three Visitors’ bicycle racks have been provided; together with a cyclist’s changing room, shower and lockers. The design allows a direct visual connection to the external environment for 80% of the Office Useable Area, thus optimising natural daylight within. A high level of thermal comfort has been ensured by addressing the internal operative temperatures through modelling and ensuring they are within the ASHRAE Standard 55-2004 Acceptability Limits for at least 98% of occupied hours. 100% of the Usable Area is mechanically ventilated and provides ample good quality outside air by demonstrating a 66% improvement over and above the SANS 10400-O:2011 requirements. Cooling is provided to the building via air-cooled chillers, which means that the building does not need to use water to cool the building. A project specific Waste Management Plan was developed to minimise waste to landfill during construction and operations. A 40% reduction of the quantity of Portland cement was targeted as an average across all concrete mixes, together with a 60% recycled content of all steel by mass on the project; and 50% (by cost) of all timber products used in the building and construction works were specified to be Forest Stewardship Council (FSC) Certified Timber, reused or recycled timber. The building’s design includes a Waste Recycling Storage area of 19sqm to encourage building users to recycle all waste where possible in order to minimise their waste footprint. Recyclable waste, including Paper and Cardboard, and Plastic, Glass and Cans, will be collected every two weeks. Sub-metering of major water systems is in place, and low flow fittings have been specified throughout. The building does not make use of a fire sprinkler system, which helps to reduce potable water wastage. And xeriscape landscaping has been designed to minimize consumption of potable water for irrigation. By setting ambitious targets for more sustainable construction practices and operations throughout the building’s lifecycle, 78 Corlett is demonstrating sector leadership in considering context and environment, occupant health and wellbeing, and tenants’ bottom lines. “Net Zero is such an exciting tool for the Green Building market,” concludes Annelide Sherratt of Solid Green. We are proud to be one of the forerunners to be associated with the initial projects to be submitted under this certification, and are looking forward to completing more Net Zero certifications before the GBCSA’s Green Building Convention 2018, to contribute to the theme ‘The Race to Zero’. Next News Item →Solid Highlights for 2017!